This beautiful made to order handkerchief is the perfect gift for loved ones attending your wedding! Give them something that is meaningful, personalized, and useful. 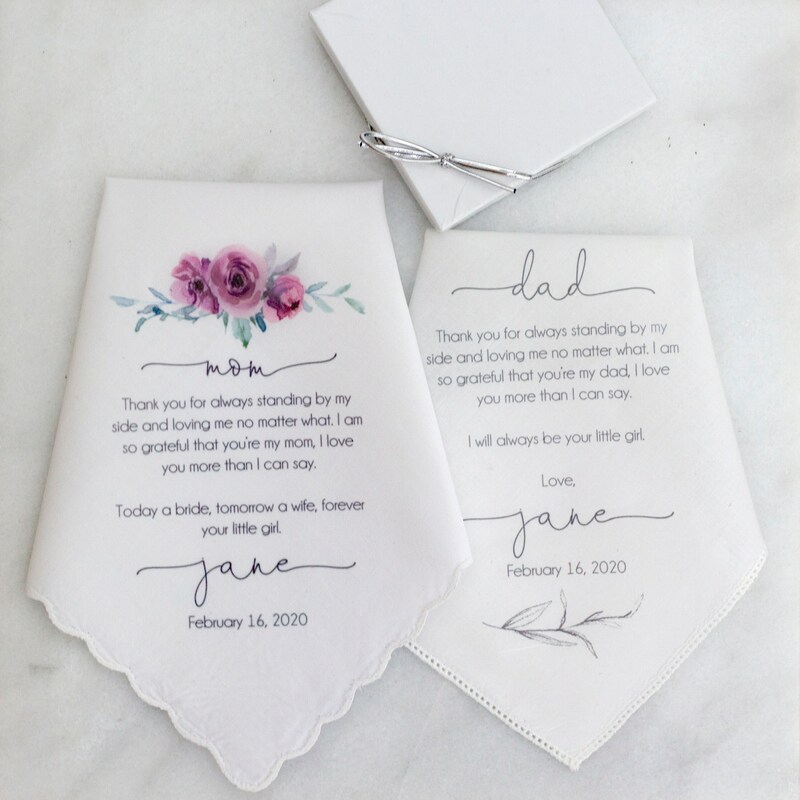 With the printed message and date, this handkerchief will bring your loved ones back to your special day every time they see it even after the wedding is over. This listing includes one handkerchief as shown, as well as a gift box. Please leave the message you want printed in the personalization box when you checkout.